October 3, 2018 (Last Updated: April 9, 2019) - As an Amazon Associate I earn from qualifying purchases. Making your own homemade coffee liqueur is a fun treat and an exercise in frugality. Get this delicious recipe and use it for all of your Kahlua needs. It is time to level up our White Russian game by making our own Coffee Liqueur. Yes, that is correct. Today, I am going to teach you how to make your own DIY Kahlua as part of our White Russian series. As you will find out, there is a very practical reason to make your own homemade coffee liqueur. Yes, part of the beauty is that you get to craft this thing with your own hands, but it will save you a lot of money, as well. Learn how to make this awesome tasting drink and save yourself some money, as well! What is Coffee Liqueur Made From? You guessed it. COFFEE. Also, it has rum, sugar, and the store-bought stuff has caramel food coloring in it. Coffee and rum are such a natural fit, as both are products of the same region. Kahlua itself has an origin in Mexico, but the ingredients have become commonplace and have origins in the entire region of Mexico, the Caribbean, South America, and Central America. 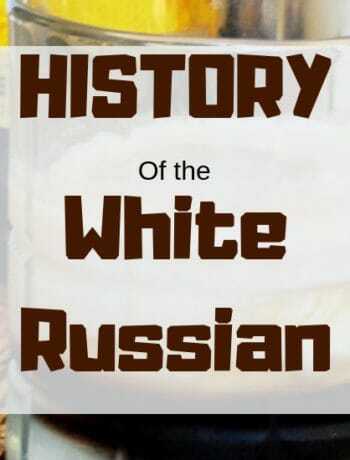 You can learn more about these origins by looking at our recent post on the history of the White Russian. 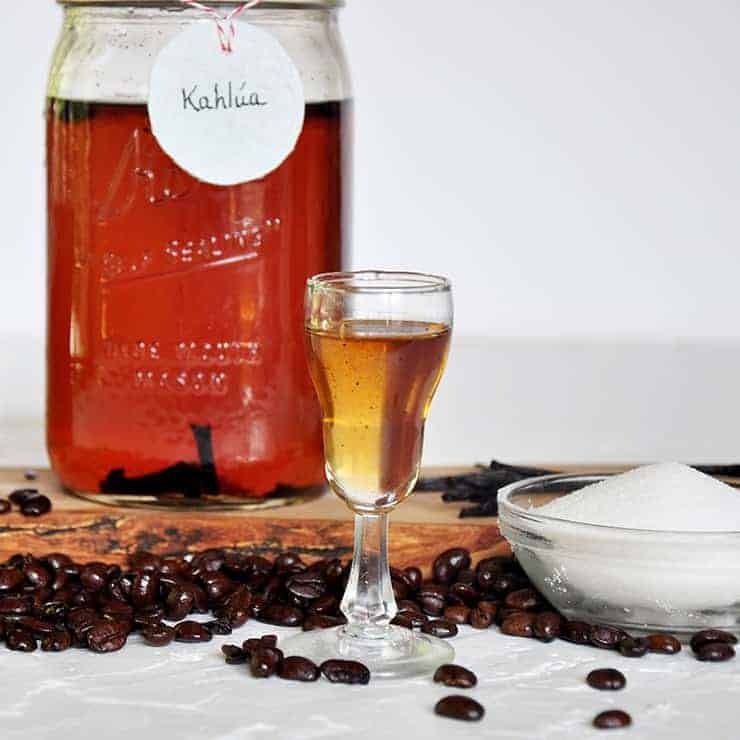 What is the Difference Between Kahlua and Coffee Liqueur? This is simple. Kahlua IS a coffee liqueur. The brand name is Kahlua. The kind of alcohol that Kahlua is, is Coffee Liqueur. There are other brands that are a coffee liqueur, but for many the names are synonymous. When I was a bartender at a local college bar, I really only really knew it as Kahlua. You just need to know that Kahlua is coffee liquor. I used Kahlua as the product I was trying to emulate. First thing is that I know that Kahlua is 20% alcohol and I wanted to maintain that ratio. Since we are making our coffee liqueur from rum, I was able to calculate the volume of alcohol in that and transpose it to our recipe. Additionally, I wanted to make sure that it had some vanilla flavor. I chose to order vanilla beans and allow them to soak in my final concoction. I also made some from vanilla extract and I will offer that as an alternative. Vanilla beans are not the most economically viable, or reachable, ingredient for everyone. Vanilla extract worked fine, but if you want to add just a tad extra something to your homemade Kahlua, use fresh beans. Finally, we added coffee. Use what you have in your cupboard. Perhaps it would even be good to use a vanilla coffee ground instead of any vanilla at all. Part of the beauty of making your own coffee liqueur is that you can choose your own adventure on the flavors you want to use. Why Should I Make My Own Coffee Liqueur? The summary of this question is answered with costs, flavors, and the joy of crafting your own beverage. The simple fact is that Kahlua is not inexpensive. They do a great job, but we priced a 1.75 Liter at fifty bucks. When you calculate that down to the price for the same amount our recipe makes, it comes to $20.26. Our recipe comes to about $12.63. A person could get that to about $7.00 if they used vanilla extract instead of ordering our own vanilla beans. It is DRASTICALLY less to make Kahlua at home. Do you like more vanilla? ADD MORE. Do you want to forego vanilla or use a certain coffee? Maybe even a flavored coffee? 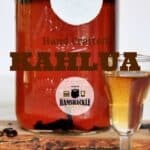 There are so many options to make a unique and interesting Kahlua. 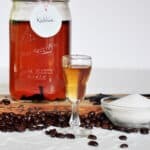 A person really has a chance to make some unique, interesting, and beautiful drinks with this Kahlua recipe. When company comes over, you get to show off your own Kahlua! Maybe this is not everybody’s jam, but I really enjoy being able to make my own stuff and this recipe just adds to my repertoire of abilities. Why is my Homemade Coffee Liqueur Lighter than Kahlua? It says right on the bottle of Kahlua that they add caramel coloring. I thought about ordering some, but I chose to forego that step. I am fine with the lighter color. Store this as you would your normal Kahlua. I would say to use it up in a few months, but store-bought Kahlua can last a very long time. I hope this recipe will inspire you to get out and make your own coffee liqueur. Whether you are making this for cost savings, choosing your own flavors, or the joy of it, I am happy you stuck with me. Even if you use this recipe as your starting point, that is awesome. Recipes like this are meant to be personalized and made better. This Homemade Coffee Liqueur is easy and tasty. Make it today. Don’t forget to sign up to get updates via email and follow me on Instagram. 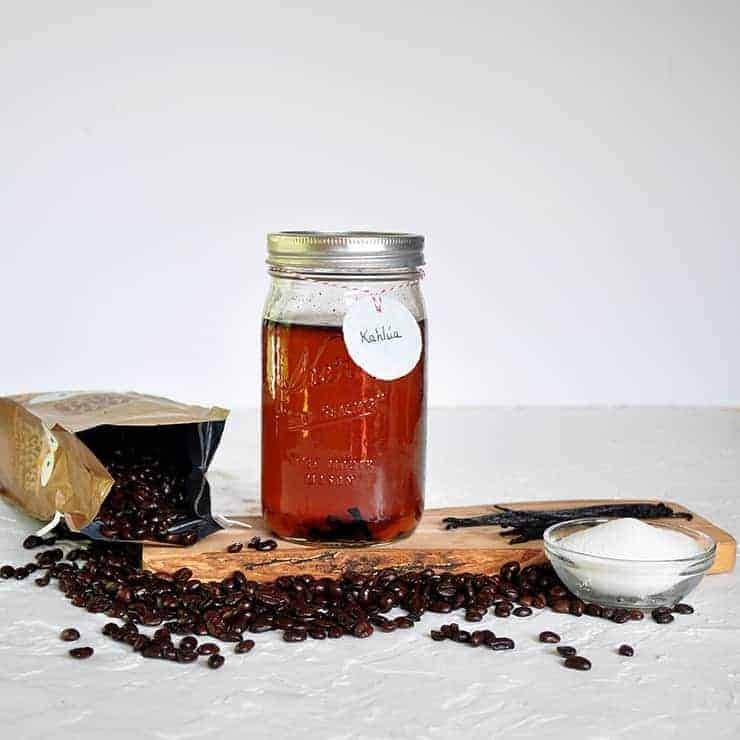 This homemade coffee liqueur is simple to make, tasty as heck, and can save you a lot of money. The Best Part is that it tastes freaking awesome. Adding alcohol to a warm, non simmering, liquid can reduce the alcohol content by 15%. Not sure how strong a liquor this would make, as once you cook the rum you cook out most of the alcohol, if not all of it. 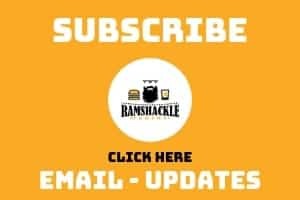 We have been making homemade “Kahlua” for YEARS! We have always made it with vodka, but have been wanting to try making it with rum, as it is traditionally a rum based liquor. Currently, we use vodka, instant coffee, 1 vanilla bean and a simple syrup. 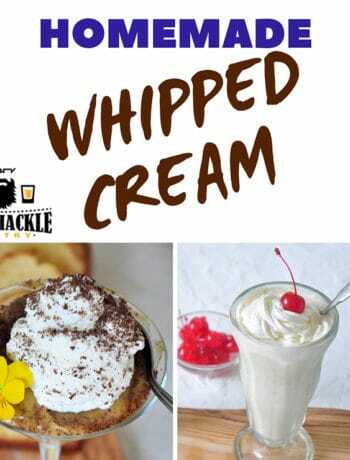 The alcohol is not added until the simple syrup and coffee mixture have completely cooled. Pour it into a gallon jar with a tight fitting lid and shake it daily for 3 weeks. The final product is was better than store bought! I actually just changed this recipe to reflect this. My original thought was that we would be good if the alcohol never reached a hot temp… certainly wasn’t near the boiling, or even simmering, temps where liquor would definitely boil off. So, I did the research. Sort of my thing. Stirring alcohol into a warm, non-simmering beverage can reduce the alcohol content of the liquor itself by 15% (see page 12). The overall proof of a quart of this Kahlua, however, could not be impacted that much. It could swing it 5%, which is enough. I made the calculations to bring it as near as possible to the original percentage without taking that into account. Thanks for the comment and making this recipe better!